Citizens in Space has announced the payload manifest for its first flight on the XCOR Aerospace Lynx spacecraft. The experiments announced today cover a wide range of subjects from microgravity crystallization to plant growth, antimicrobial materials for space habitats, and the interaction of water with lunar surface materials. The experimenters are equally diverse. 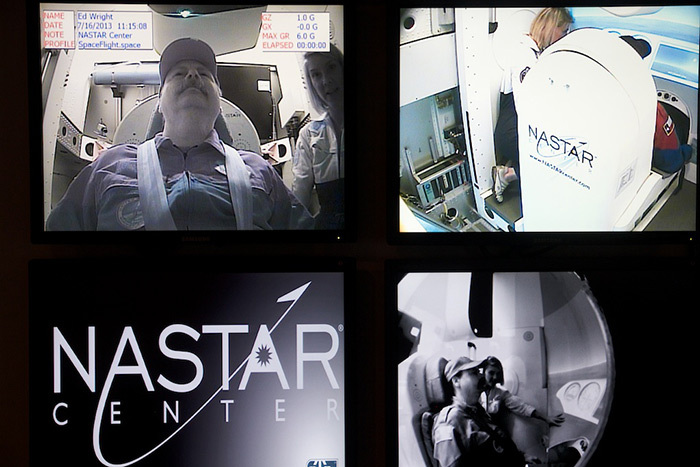 “Mission One includes citizen scientists working at every level, from high school to professional research labs,” said Dr. Justin Karl, Chief Payloads Officer for Citizens in Space. The mission announced today is one of ten flights purchased by Citizens in Space. “Citizens in Space is making these flight opportunities available at no cost to citizen scientists,” Dr. Karl said. “In return, citizen scientists pledge to make their experiment designs and data openly available to the entire community. Our goal is to create a huge catalog of flight-proven experiments that future researchers can draw from. Angelicvm Aerospace Foundation of Santiago, Chile. Crystallization Rates in Microgravity. Bishop Planetarium at the South Florida Museum in Bradenton, Florida. Microgravity Water Electrolysis Optimization. CD-SEAS of Honolulu, Hawaii. 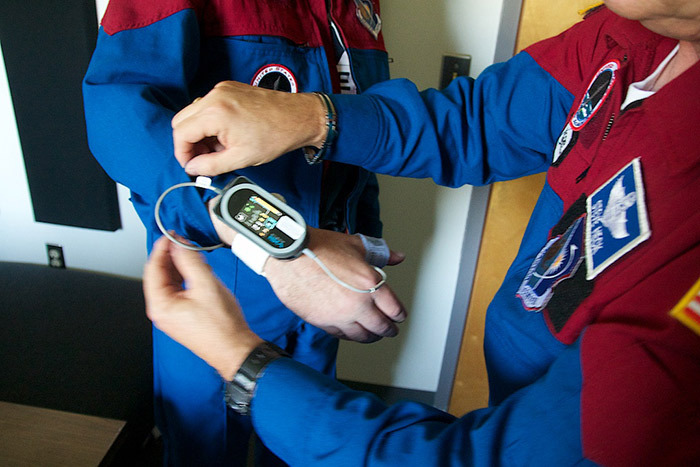 Effectiveness of Anti-Microbial Coatings in Microgravity Conditions. Florida International University of Miami, Florida. Regolith Compression Mechanics in Reduced- and Micro-Gravity. Flightsafety Makers of Columbus, Ohio. Characterization of Local Inertial Loading and Comparison with Avionics Data. Syncleus of Philadelphia, Pennsylvania. Realtime Payload Conditions Monitoring. NewSpace Farm LLC of Seattle, Washington. Microgravity Botany Pod Hardware Evaluation. The Pinkowski Group of Montrose, Pennsylvania. Concentration Gradient Equalization Rates. Terran Sciences Group of Orlando, Florida. Inter-Payload Heat Transfer Characterization. Texas Southern University of Houston, Texas. Non-Fick Diffusion in Microgravity. Students for the Exploration and Development of Space at the University of Central Florida in Orlando. Hydrophobic Coating Effectiveness for Space Applications. University High School of Orlando, Florida. Investigation of Regolith Hydration in Zero Gravity. Citizens in Space is continuing its call for experiments. Questions and letters of intent can be submitted to Dr. Justin Karl by emailing experiments@rocketacademy.org. 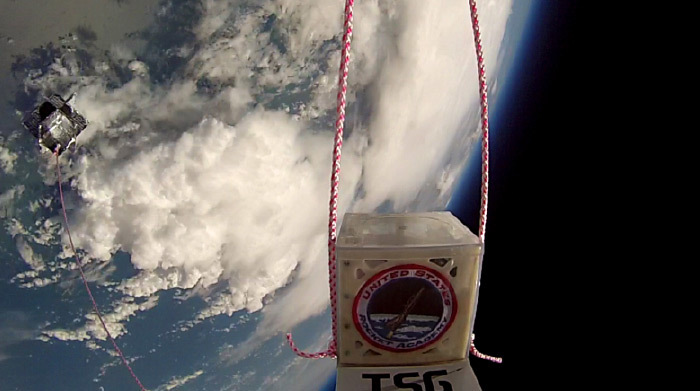 Citizens in Space announces the successful completion of a high-altitude balloon flight, the first in a series of missions to test hardware designed to fly on the Lynx spacecraft from XCOR Aerospace. 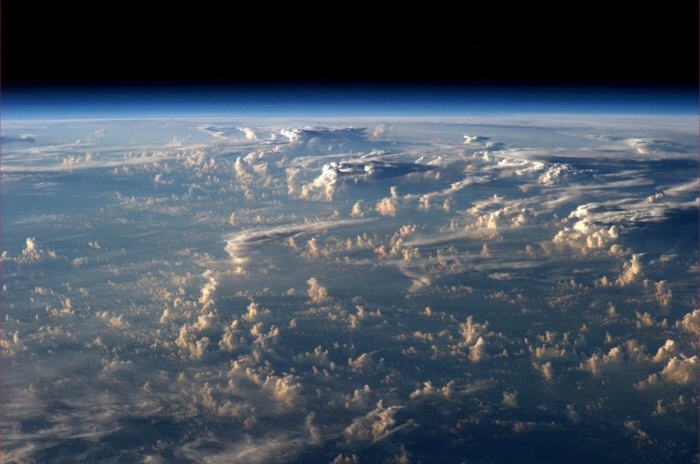 The helium balloon, which reached an altitude of 25 kilometers (82,000 feet), was launched by a team from the University of Central Florida’s Students for the Exploration and Development of Space. Soon after launch, shifting winds carried the balloon west, rather than east, out over the Gulf of Mexico. The unexpected turn led to a scramble by UCF-SEDS students to locate the balloon, which was lost at sea for several days. The balloon carried components from the Lynx Cub Payload Developer’s Kit, an open-source science kit available through Citizens in Space and Terran Sciences Group. The flight also served as a launch-and-recovery test for the next Citizens in Space balloon mission, which will carry an ultra-high-definition video camera developed for the Lynx spacecraft. Citizens in Space will present papers at two small-satellite conferences this month. The talk will take place during the Launch Capabilities, Testing, and Simulation session on Thursday afternoon. On Monday, 27 April 2015, Wright will address 2015 Interplanetary Small Satellite Conference on the topic of “Testing Interplanetary CubeSat Payloads Using Reusable Suborbital Spacecraft.” The talk will take place during the Propulsion Systems and Launch session. In addition, Citizens in Space will have an exhibit table at both events, with the Lynx Cub Payload Carrier and other flight hardware on display. “The Lynx Cub Payload Carrier is a versatile system that installs in the cabin of the Lynx spacecraft, behind the pilot’s seat,” Wright said. 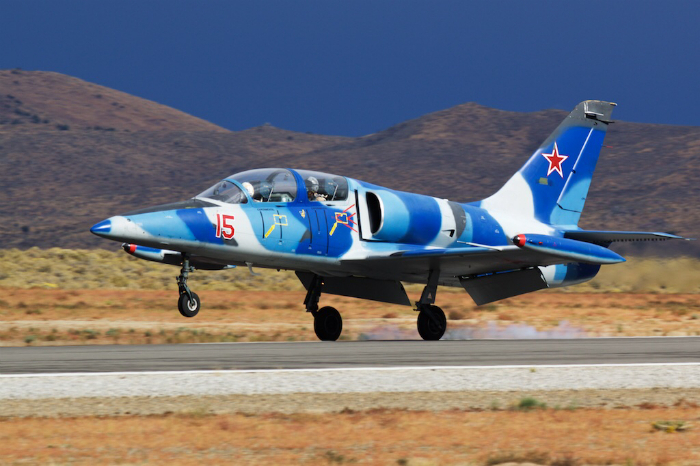 “It allows small experiments to be carried as secondary payloads on any Lynx flight. 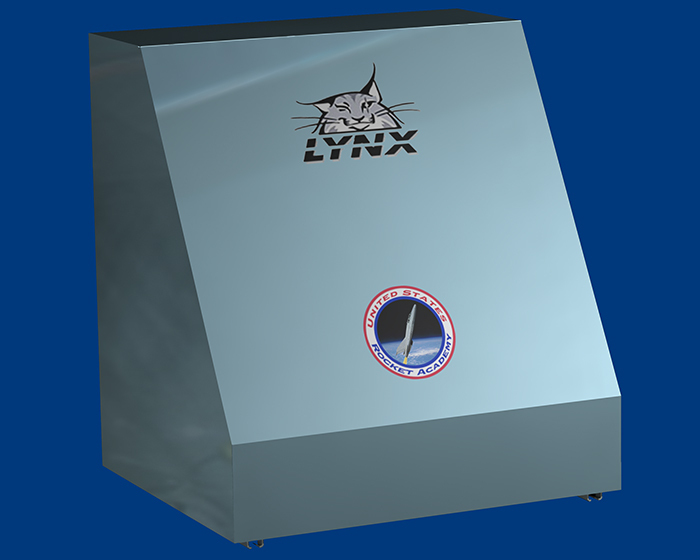 The Lynx Cub Carrier can be installed and removed quickly for frequent, low-cost flight opportunities. The XCOR Lynx is a reusable, piloted suborbital spacecraft currently under construction by XCOR Aerospace in Mojave, California. XCOR expects the Lynx to be ready for flight test some time later this year. The 12th Annual CubeSat Developer’s Workshop takes place at California Polytechnic State University in San Luis Obispo on 22-24 April. More information is available at www.cubesat.org. The 2015 Interplanetary Small Satellite Conference takes place at Santa Clara University on 27-28 April. Full details can be found at www.intersmallsatconference.com. 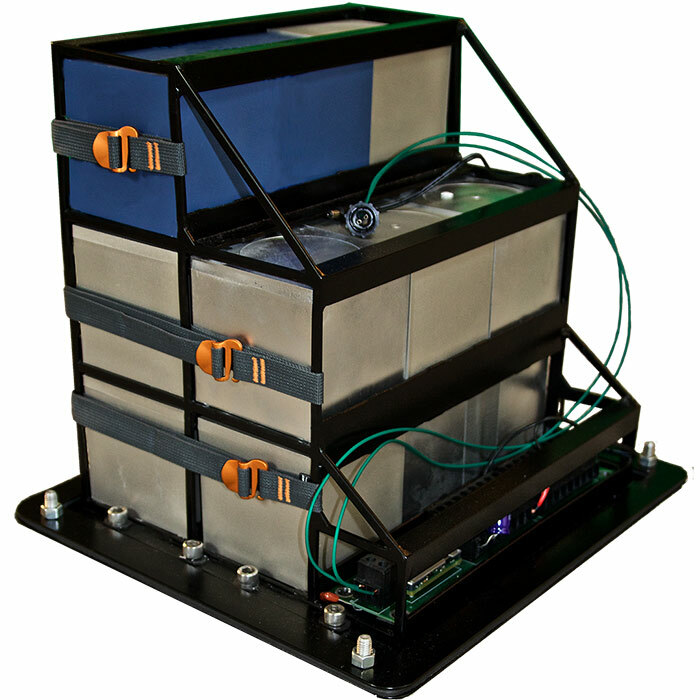 The Lynx Cub Payload Carrier will be on display this Friday (6 Feb 2015) during Innovation Day at Space Center Houston. The Lynx Cub Carrier is a platform designed to carry multiple small experiments aboard the XCOR Lynx suborbital spacecraft. 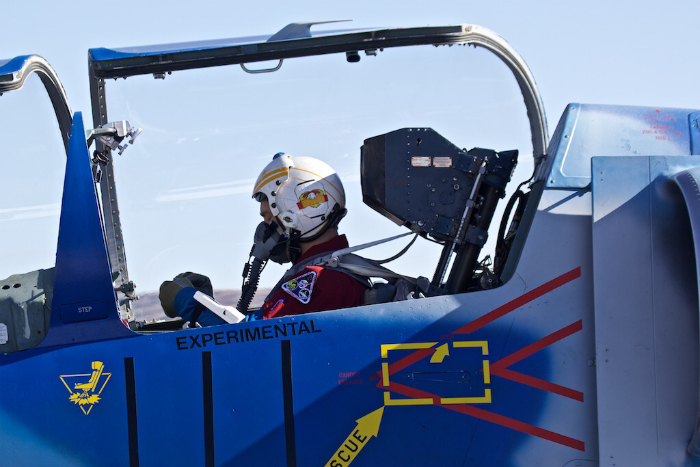 The Lynx Cub Carrier fits in a space behind the pilot’s seat (“Payload A” in the illustration above). It can accommodate up to 15 four-inch cubes or a combination of larger experiments up to 12 inches in length. The Lynx Cub Payload Carrier was developed by the United States Rocket Academy with support from the State of Texas Aerospace Technology Research and Operations (ASTRO) Center (formerly the Space Engineering Research Center), the Department of Industrial and Systems Engineering at Texas A&M University, and XCOR Aerospace. 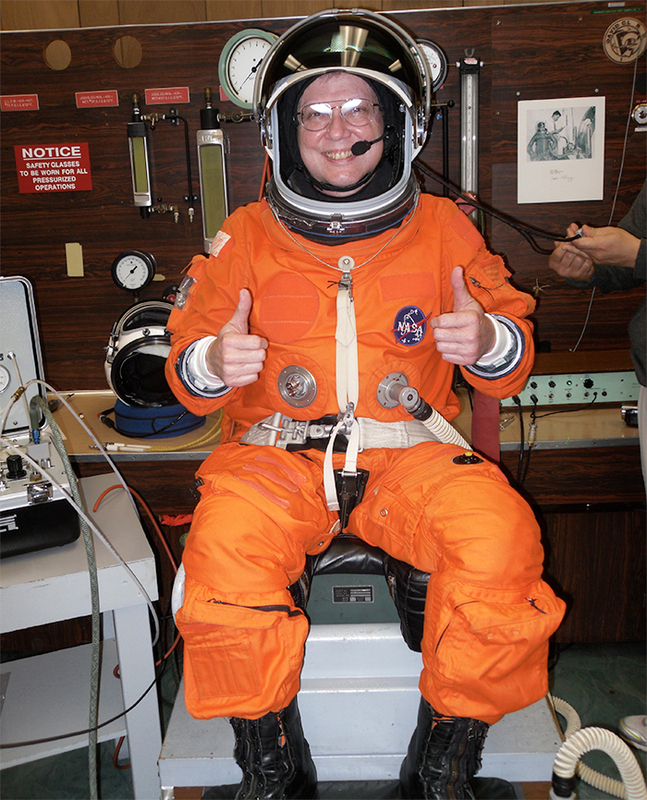 The first flight article, which will appear at Space Center Houston, was finished in 2014. It was previously displayed at events such as the National Space Symposium, International Space Development Conference, and the National Science Teachers Association conference. The Lynx Cub Carrier will be on display in the Space Center Houston lobby from opening until 2:45 PM. Along with the Lynx Cub Payload Carrier, the display will feature related experiment hardware, a model of the XCOR Lynx spacecraft, and citizen astronaut candidates to answer questions. At 2:45 PM, the Lynx Cub Carrier will move to Johnson Space Center’s Gilruth Conference Center for “Texas: the Space State,” a presentation by Citizens in Space at the Space Exploration Educators Conference. Other parts of the display will remain available in the lobby until 4:00 PM. Other exhibitors at Innovation Day will include the Lunar and Planetary Institute, the Texas Space Grant Consortium, Microsoft, Nanoracks, and the NASA Commercial Crew Program. 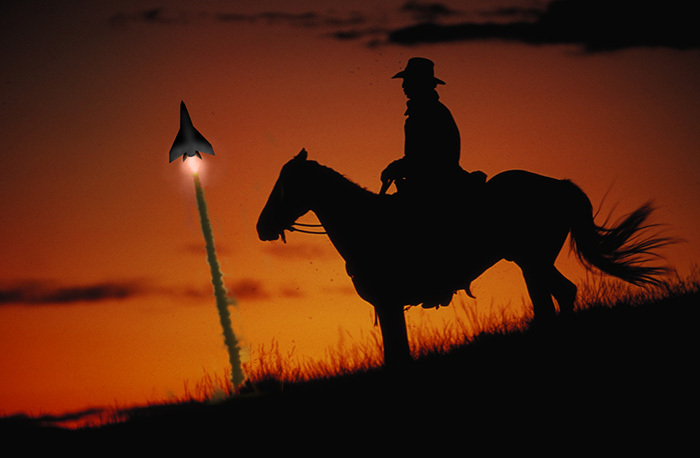 Why are commercial space companies flocking to Texas? Representatives of Citizens in Space will speak on Texas, the Space State at the Space Exploration Educators Conference, which takes place this week at Space Center Houston. The talk, which is open to conference attendees, begins at 2:35 this Friday (6 February 2015). 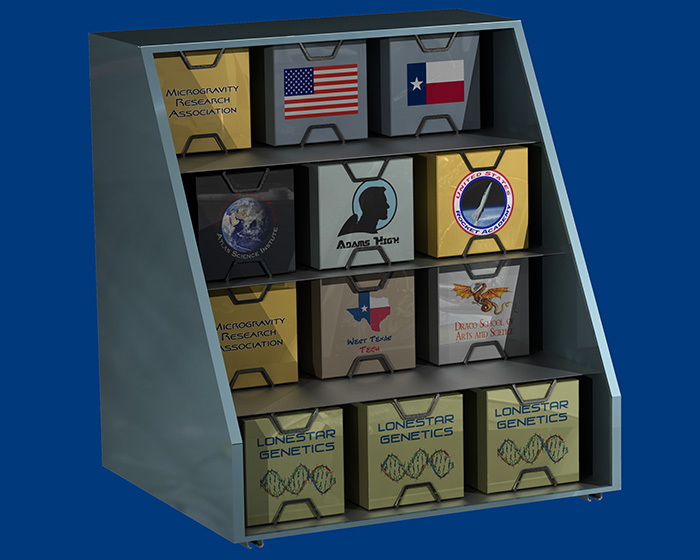 (College Station, Texas) The United States Rocket Academy announced the delivery of the first Lynx Cub Payload Carrier, a new research platform which promises to dramatically reduce the cost of access to space for small scientific and education payloads. The Lynx Cub Carrier will fly on the XCOR Lynx spacecraft, which is now under construction at the Mojave Air and Space Port. 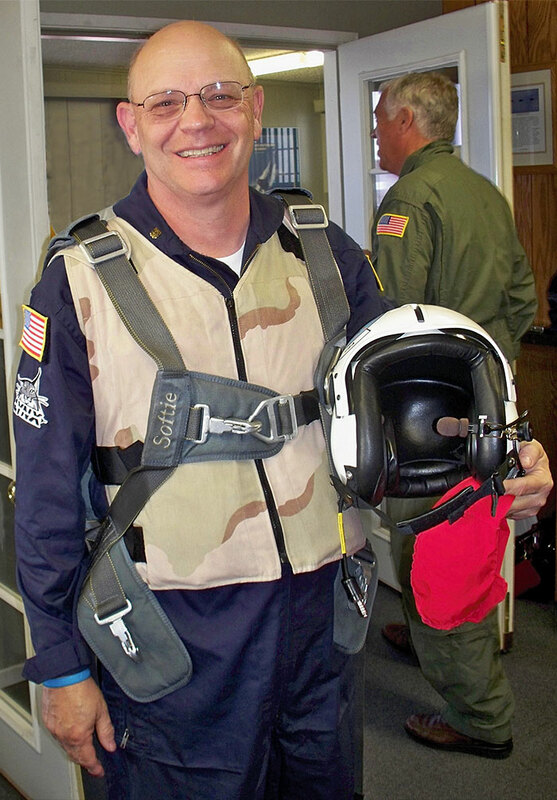 “The Lynx Cub Payload Carrier is a versatile system that installs in the Lynx cabin, behind the pilot’s seat, allowing small experiments to be carried as secondary payloads on any Lynx flight,” said United States Rocket Academy chairman Edward Wright. “The Cub Carrier can be installed and removed quickly for frequent, low-cost flight opportunities. The Lynx Cub Carrier was developed by the United States Rocket Academy and the Space Engineering Research Center, part of the Texas A&M Engineering Experiment Station (TEES), with support from XCOR Aerospace. Design and fabrication of the Lynx Cub Carrier were performed by Texas A&M faculty and students and TEES researchers. 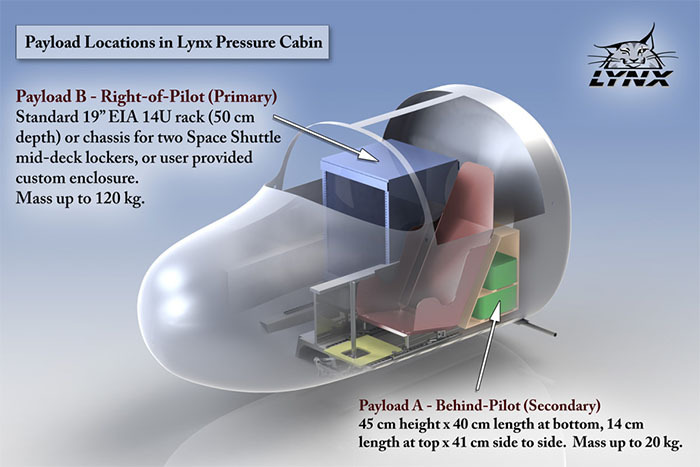 Citizens in Space, a project of the United States Rocket Academy, will use the Lynx Cub Carrier on 10 Lynx missions. The Lynx Cub Carrier will also be made available to other XCOR customers, as ready-to-fly hardware or as an open-source hardware design. 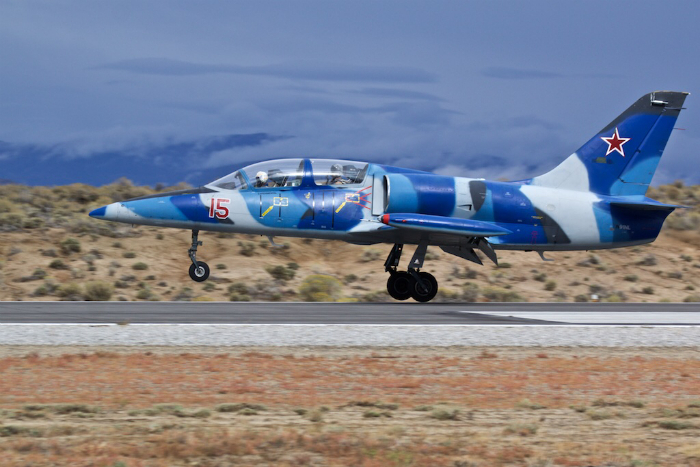 The Lynx Cub Carrier will be part of the XCOR Lynx flight-test program, which is expected to begin later this year. The Space Engineering Research Center, part of the Texas A&M Engineering Experiment Station in College Station, is also a member of XCOR’s global network of payload integrators, which provides value-added services for Lynx payload customers. 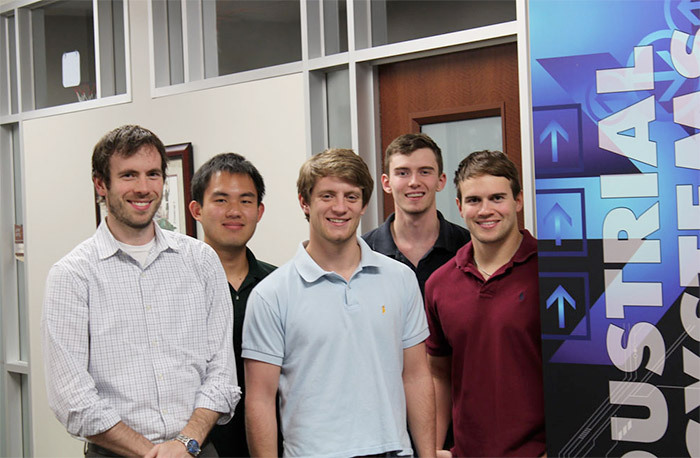 TEES is an engineering research agency of the State of Texas and a member of The Texas A&M University System. This summer, we invited Popular Science editor-in-chief Jacob Ward to join us for the current phase of our citizen-astronaut training. The resulting story, Trials and Tribulations of Space School, appears in the January issue of Popular Science, which is on the newsstands now. The story is also available online here. 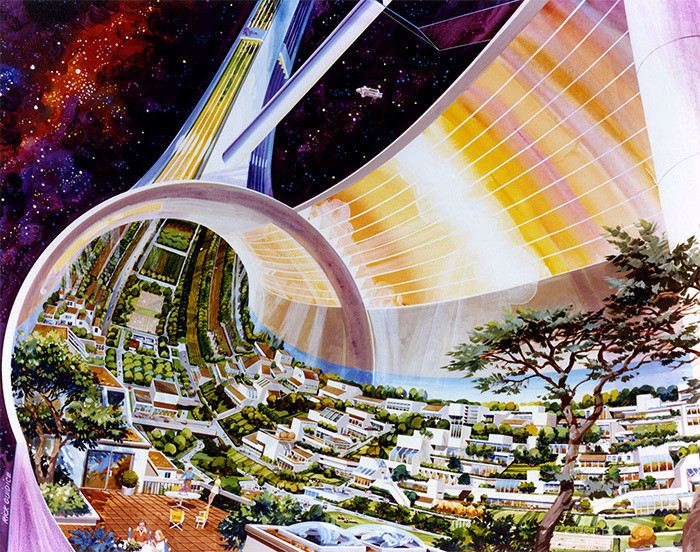 Space isn’t just for governments and large corporations. Citizen scientists and hardware hackers will learn how to do “space on the cheap” at a two-day Space Hacker Workshop in Dallas. Participants at the workshop will learn how they can build and fly experiments in space, and even fly in space as citizen astronauts, through the Citizens in Space program. 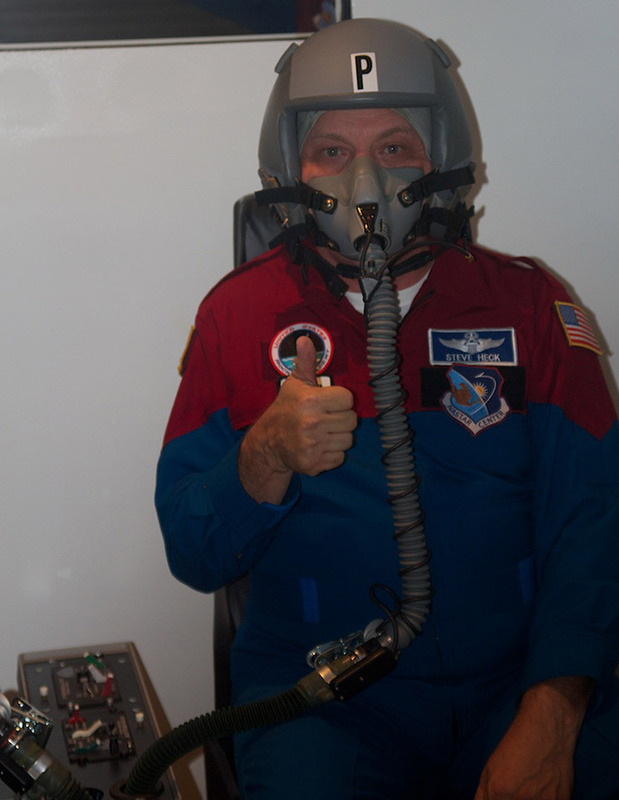 The Space Hacker Workshop takes place July 20-21 at the Frontiers of Flight Museum at Love Field. The workshop is sponsored by Citizens in Space, a project of the United States Rocket Academy, and SpaceGAMBIT, an international collaboration of citizen scientists operating through makerspaces, hackerspaces, and community groups. Citizens in Space has purchased 10 flights on the XCOR Aerospace Lynx spacecraft, now under construction at the Mojave Air and Space Port, which will be made available to the citizen-science community. “We’re looking for 100 citizen-science experiments and 10 citizen astronauts to fly as payload operators,” Citizens in Space project manager Edward Wright said. “The Space Hacker Workshop will provide participants with information and skills needed to take advantage of our free flight opportunities. Space is no longer the exclusive domain of NASA and university scientists. 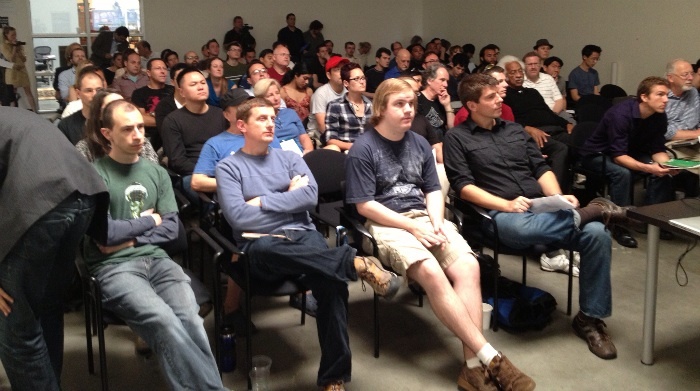 A previous Space Hacker Workshop in California attracted a standing-room crowd of men and women from every walk of life. High-school students sat next to medical doctors and astrobiologists. 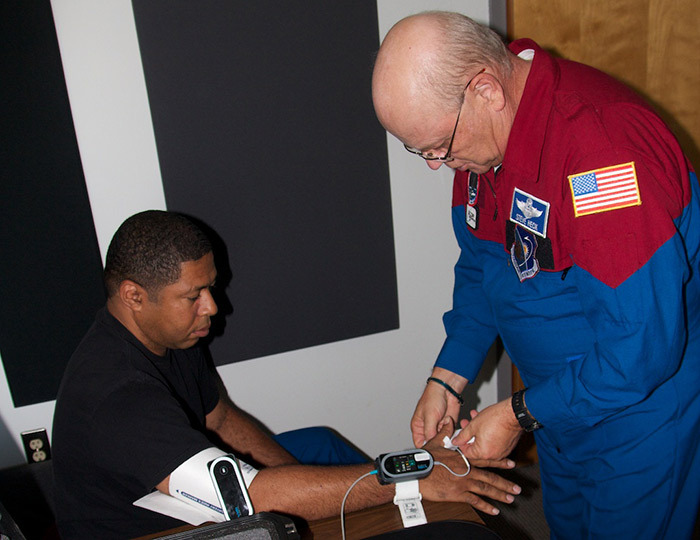 Tinkers and hobbyists worked alongside engineers and physics professors, a heart surgeon, and a NASA astronaut. The Space Hacker Workshop will provide hands-on exposure to a variety of microcontrollers, sensors, imaging systems, and other components. With these components, participants will learn how to design and build microgravity, fluid-physics, life-science, and engineering experiments. Each paid participant will receive a hardware package to take home after the workshop. A representative of XCOR Aerospace will be on hand to discuss the Lynx spacecraft. Experts from NASA and industry will discuss the research professional scientists have done in the past, prospects for new research on low-cost suborbital spacecraft such as Lynx, and opportunities for citizen scientists to build on the shoulders of NASA giants. Three citizen-astronaut candidates will also be on hand, to discuss the Citizens in Space astronaut selection and training process. Admission for the event is $129 at the door. Super Early Bird tickets are available now for $79. Tickets are limited and the event may sell out. 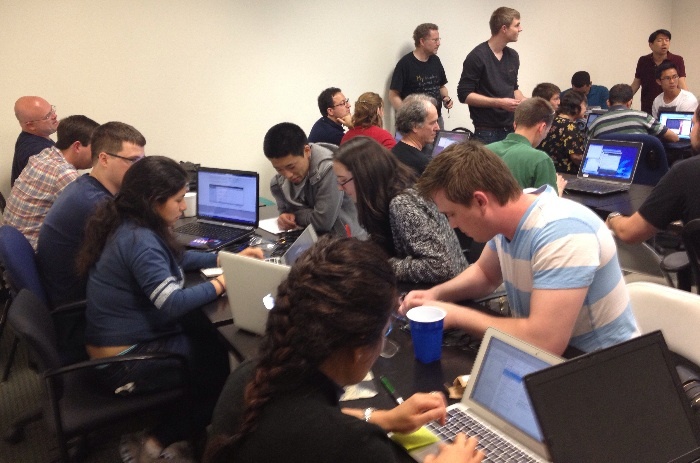 Online registration is available at SpaceHackerDFW.eventbrite.com. Clear your calendars for July. Planning for the next Space Hacker Workshop is underway — with funding from the Department of Mad Scientists!